Axiom Matting is our specialist Entrance Matting division which forms an integral part of our wider contract flooring services. Entrance matting can help reduce the ingress of dirt and moisture into a building, minimising cleaning and maintenance costs; it will also protect expensive flooring and help prevent slips, trips and falls where wet flooring can create potential slip hazards. 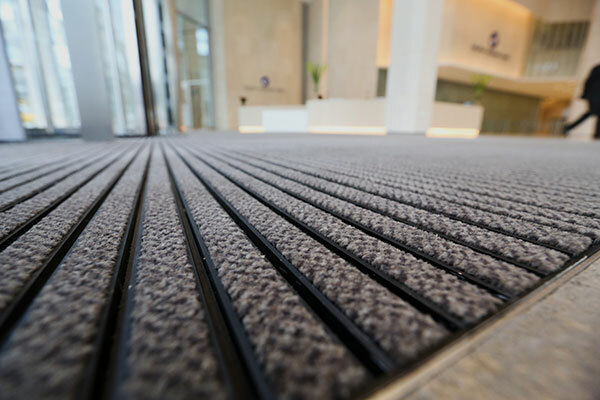 Our entrance matting is suitable for heavy contract use in reception areas, entrances and lobbies either within mat wells or wall-to-wall applications. For more detailed information on our Entrance Matting, visit the Axiom Matting website.